Recently Reunited (257/365 v2.0) – Annoyingly Boring? 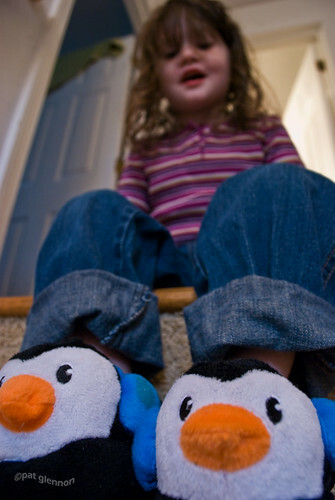 One of these sneaky penguins was hiding under Mom & Dad’s bed. It’s been a while since I had a feet/shoes themed post. Over a month!